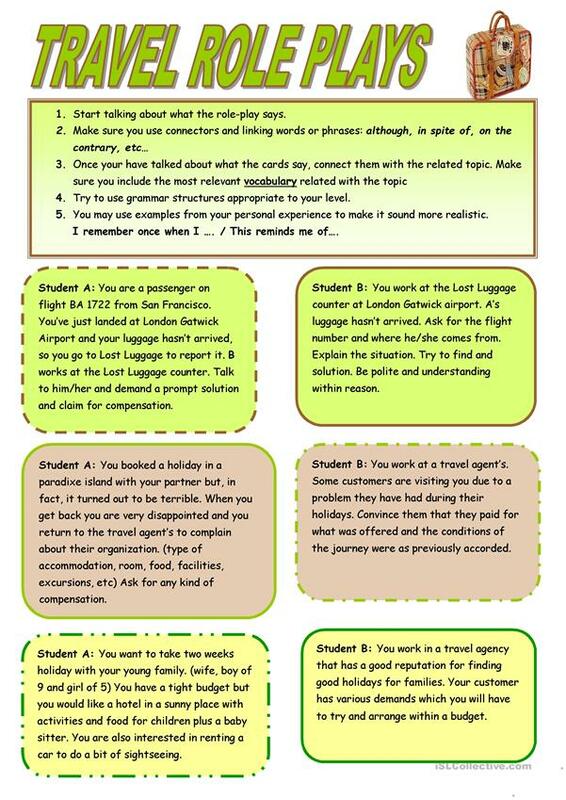 Role plays related to travel. hope they are helpful. The above downloadable teaching material is best suited for high school students and adults at Pre-intermediate (A2), Intermediate (B1) and Upper-intermediate (B2) level. It is excellent for working on your students' Speaking skills. It centers around the theme of Travel.